Back in October 02007, Jake Dunagan and I ran a project called FoundFutures: Chinatown, wherein we created a series of alternative futures for this historic Honolulu neighbourhood, and with a little help from our friends, manifested these possible future Chinatowns in tangible form during a multi-part 'exstallation' in the area. One of the stories concerned a flu epidemic that took place in (a version of) the year 02016, and this caught the attention of some folks in the Communications department of the State Department of Health (DOH). Wearing our Hawaii Research Center for Futures Studies hats, we started talking about doing some kind of project for DOH using this distinctive "experiential futures" approach, and they applied for a federal U.S. grant to pursue the idea. That was early in 02008. By September that year, the Centers for Disease Control and Prevention (CDC) announced that Hawaii's grant application for a demonstration public engagement project about influenza preparedness had been successful. We at HRCFS then pitched an alternate reality game (ARG) that would build both on our experiential scenarios for FoundFutures and Hawaii 2050, as well as on the success of 'serious ARGs' such as World Without Oil (02007) and Superstruct (then soon to launch) in addressing near-future challenges. A particular aim was to help people provide input for the state about who ought to be vaccinated first, once a vaccine were to become available, a life-and-death question laden with ethical, political, and cultural implications. To answer it, however, required enabling folks to grasp some important, and frequently misunderstood, background facts: pandemic flu is different from seasonal flu; vaccine is different from antivirals; and vaccine specific to a pandemic flu strain -- since by definition such strains are immunologically unfamiliar -- would take months to formulate, produce and distribute. We considered that an accessible, immersive storytelling effort should help people to take the premise seriously -- a challenging proposition since the last pandemic was in 01968, and out of sight generally means out of mind. For months, then, the HRCFS team has been working intensively on creating the architecture and content for an experience that would enable people to project themselves undergoing the experience of a flu pandemic. The scenario was set in 02012, partly to avoid a War of the Worlds-esque confusion on the part of our audience. 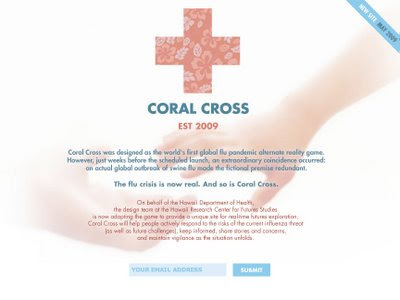 In order to tell the story authoritatively from within the 'alternate reality' scenario, but without pretending to the mantle of a real organisation like DOH or CDC, we created an entity called the Coral Cross. This was a grassroots network, a product of Obama-era public service and web savvy, which in our story emerged in September 02011 after a category 5 Hurricane Cyrus devastated the island of Oahu. However, after months of design and research, and just a few weeks prior to the scheduled launch, an extraordinary coincidence has occurred. 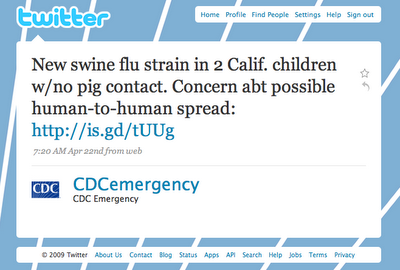 Just before the world's first pandemic flu-themed alternate reality game was to begin -- and following pregame media coverage by ARG websites and local news -- an actual outbreak of swine flu in Mexico, quickly spreading to other locations, has made the fictional premise redundant. The flu crisis is now real. And now, so is Coral Cross; transforming, seemingly with its own alternate-reality momentum, as our design team works at full speed to adapt an 'alternate reality game' to a 'reality game' supporting real-time futures exploration as this story unfolds. As I said, the last week has been one of the strangest of my life. Do we have a contingency plan if a pandemic strikes before our game launches? We did complete the shoot, incidentally, but in view of events since then, won't be using the footage anytime soon. Part of me of course finds it hard to say goodbye to the carefully crafted alternate reality premise and extensive in-world storytelling we had undertaken. It is weird -- a mixture of vindication, disappointment, and deep concern -- to see scenaric details, carefully imagined and crafted by our team, being supplanted by reports in the same newspapers and press conferences whose style and conventions we'd been drawing on to tell our story. But the strangest thing is seeing our advocacy for preparation and forethought so swiftly outrun by the flux of events themselves. I can't help but relish the irony that we have spent months strategising the incursion of a hypothetical future into the present, when in a matter of days, we’ve seen instead the incursion of reality into our hypothetical future. "Any useful statement about the futures should appear to be ridiculous." Embracing that change as best we can is, ultimately, the only option that makes sense. Will the 'swine flu' develop into a full-blown pandemic, or prove to be a false alarm; or rather, something between those extremes? No one can say. But the only sensible way to complete the project we have begun, while accommodating the genuine and pervasive uncertainty that attends these unfolding events, is to make that very uncertainty the subject of our exploration. This is the option that we recommended over the weekend to the Department of Health, and that, as of last night, they confirmed. 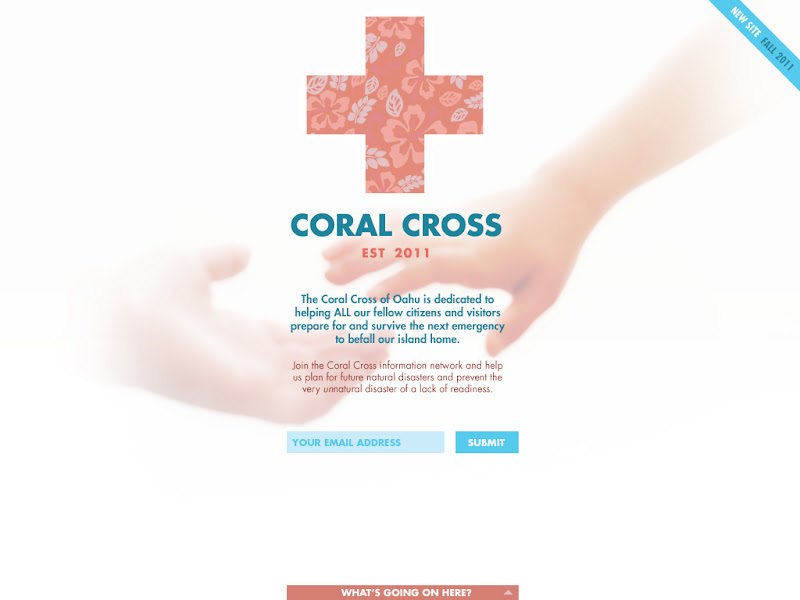 The core design team on Coral Cross consists of visual designer Matthew Jensen, interaction designer Nathan Verrill, creative consultant Jake Dunagan, and me as the project lead. I consider myself highly fortunate to be working with such adaptive and ingenious people that we can even consider spontaneously turning a simulation into a real-time futures exploration. But that's what's needed. And we applaud the Hawaii's DOH for recognising and acting so swiftly on the need to (as we've half-jokingly been saying internally) 'turn the Titanic'. All this raises some big questions which are still only dimly defined in my mind (and which I don't have time to articulate and address properly right now) about the usefulness of emergency preparation, and the relationship between such preparations and the realities to which they ostensibly refer. (Emergency: an interesting word.) But I trust there will be time enough for all that in due course. For now, we're trying to rapidly reinvent the game to support real-life contingencies, exploration and decision-making; an interesting and difficult but necessary -- and perhaps unprecedented -- task. Our sincere hope is that this event will prove not to be the pandemic that, at this moment in time, it could yet become. Still, whatever happens, Coral Cross will be there to help. All interested are encouraged to register at coralcross.org. After bees became extinct in 2012 (the end of the Mayan Calendar), the future of flora has become uncertain. Many species have since become extinct, but other persist in labs through carefully monitored conditions and specialized nutrient diets. 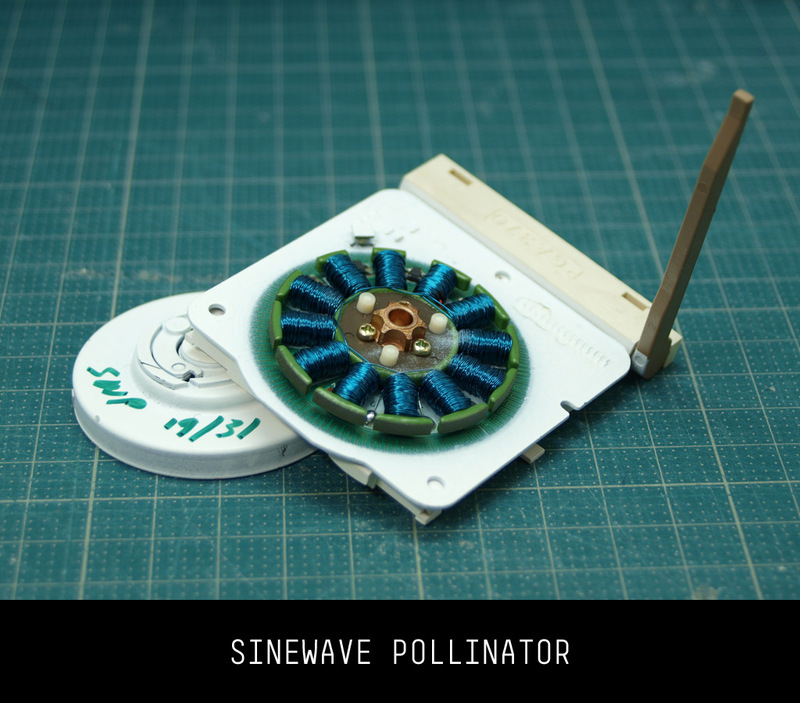 Sinewaves of a very specific wavelength have been found to be an incredible pollinating alternative, but their effect on humans continues to be tested before the method receives approval. Somehow some of these devices fell in our lap before approval. Be careful! The Umeå Institute of Design, a top Swedish design school, recently held its Spring Summit 02009 on the theme Sensing And Sensuality. Students in the Interaction Design (IxD) graduate program there created some charming artifacts from the future as souvenirs for Summit speakers, which included such luminaries as Matt Jones and Adam Greenfield. OLRs (Organic Living Robots) need maintenance too, but you well know they don’t like it. Use a DMP to tranquilize them and stunt all cellular respiration momentarily so you can perform maintenance on them without being inflicted harm upon. 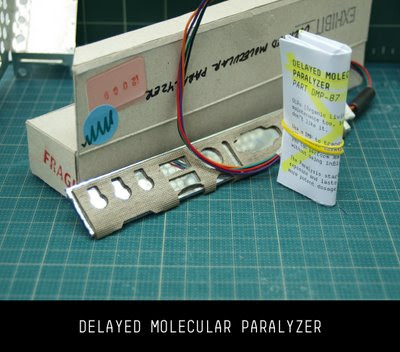 The Paralysis starts 3 minutes after exposure and lasts exactly 57 minutes. A more potent dosage unit is in the works. 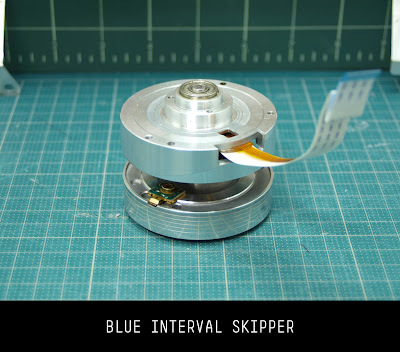 The proliferation of Blue-Ray DVDs led to the Blue Ray Catastrophe of 2015. How amazing that we humans hadn’t figured out that blue light causes retinal cancer! The blue light leaks that led to that event were a wakeup call. You think you are safe now with blue light filters in all public and private environments. Surely if you are reading this, you are an explorer of outlying territories. For that you will need this device if you treasure your vision. This batch comes from a commando of new-era Brazilian territory surveyors. Laboratory reproduction has rendered gender an unnecessary disturbance. It’s well-known that gender-positive humans still roam the earth. 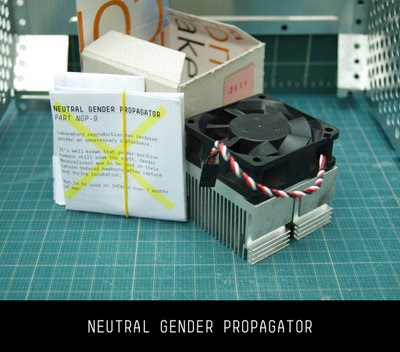 Gender Neutralizers are to be used on their nature-induced newborns after capture and during incubation. Not to be used on infants over 7 months of age. But rather than design fantasy, or even critical design, for me these artifacts instead present as design parody. Calling to mind the late science fiction author Arthur C. Clarke's maxim that "Any sufficiently advanced technology is indistinguishable from magic", these pieces joke about the mysterious, near-dysfunctional lack of legibility in advanced industrial design. Being pieced together from found components, they also seem to deploy a 3d version of future-framing, because it's not their design per se that's at the heart of these objects, but the new mini-stories which accompany them. It's the refurbished backstory, the newly futurised context, the soul transplant via narrative, that brings them to life.